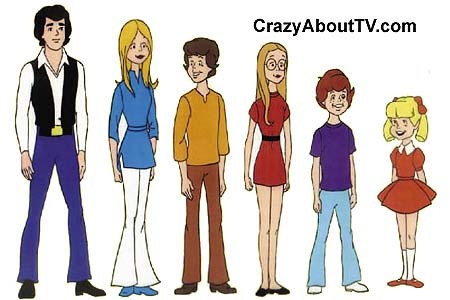 Did any show have as many lives as The Brady Bunch? First, the show itself. Then, the animated series. The variety show with synchronized swimers. The Brady Brides movie. The Brady Brides series. A Very Brady Christmas.The 1990s series where Bobby is a paralyzed race-car driver and Marcia's an alcoholic (and NOT played by Maureen McCormick). The hilarious spoof movies with Shelley Long where Jan shows her true insane side. The scary thing is, I think I have seen them all. And I bet you have, too, or at least most of them. I don't actually remember watching The Brady Kids cartoon, but somehow the theme song wormed its way into my brain. "With Moptop...and Ping and Pong the pandas! And Marlon who has voices by the score."